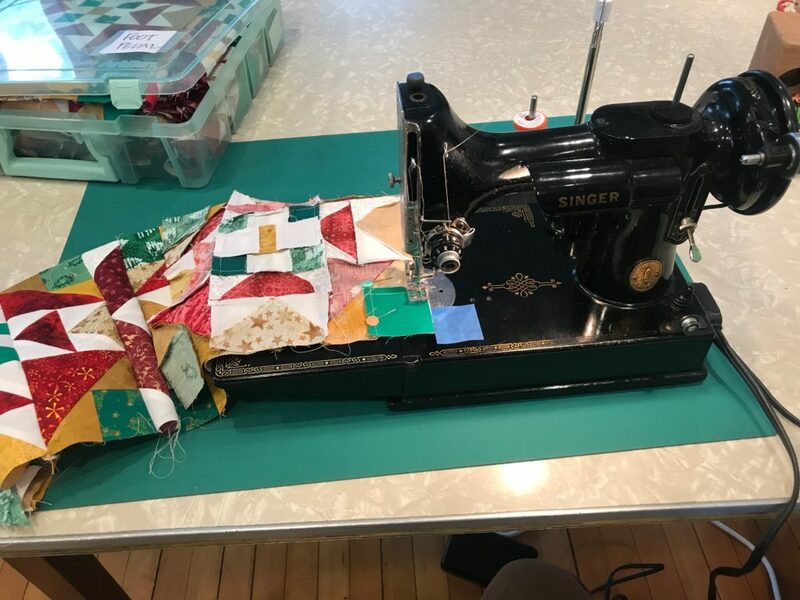 Last year, I completed On Ringo Lake – my first Bonnie Hunter’s annual mystery quilt. 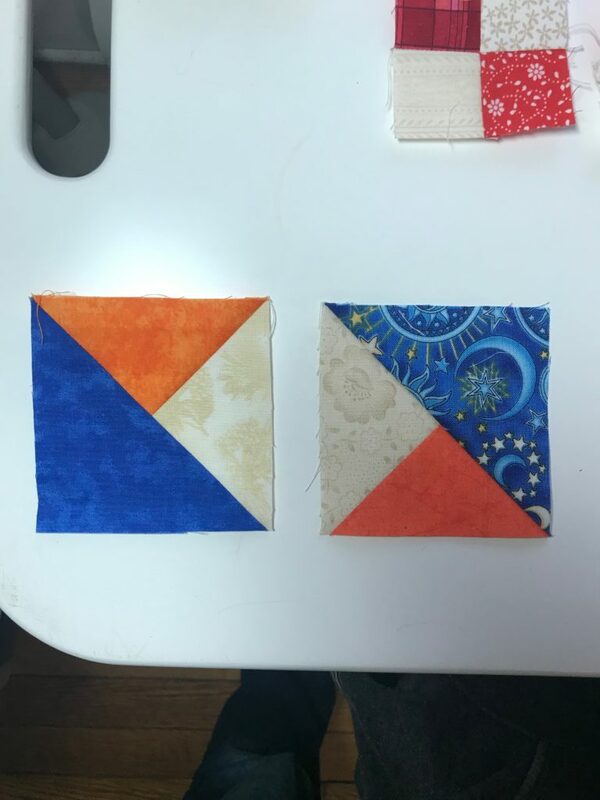 I started work on the previous year’s mystery quilt, but I gave up after sewing half of the second clue. 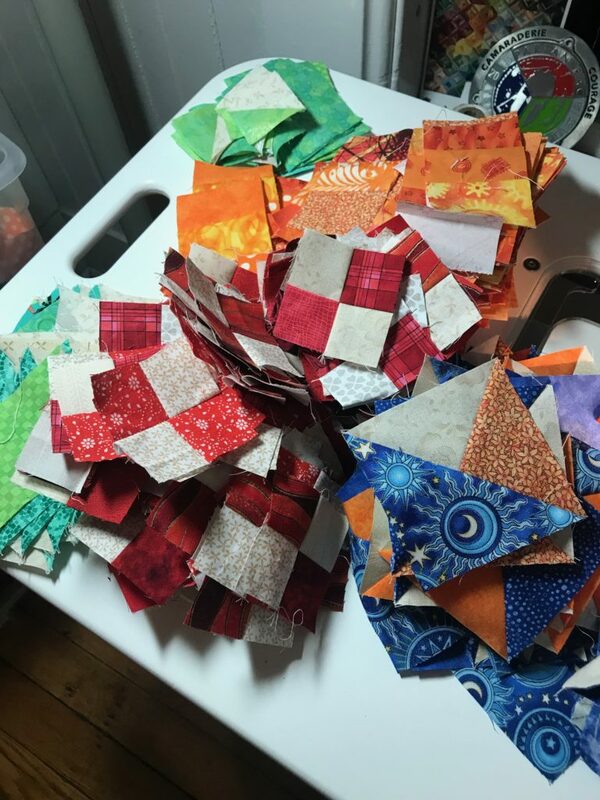 If you’re not familiar with Bonne’s quilts and her annual mystery quilts, they are very, very scrappy and involve a ton of piecing. 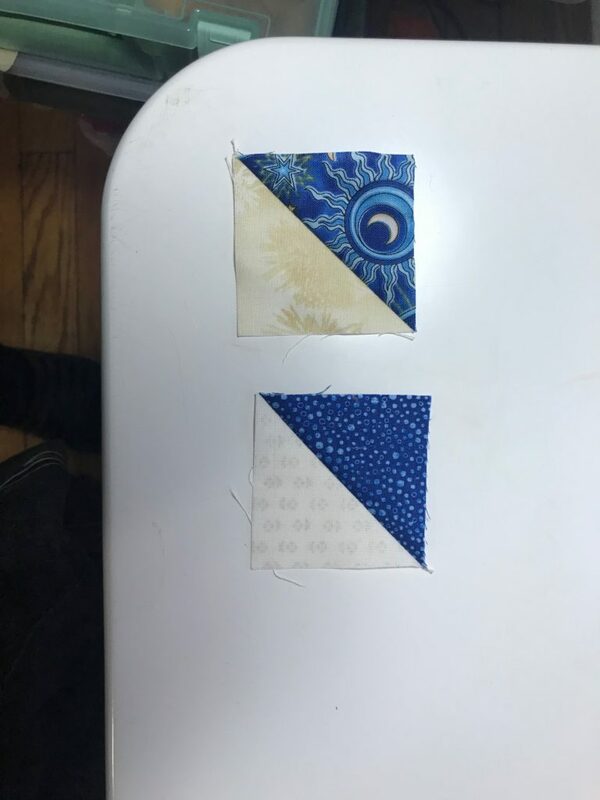 When she cheerily posts a clue, “Make a half square triangle with these two fabrics, and then make 250+ more HSTs,” the amount of sewing can easily overwhelm someone not used to a Bonnie Hunter quilt. But last year, I dove in, spent December 2017 and January 2018 sewing a ton and finished On Ringo Lake. 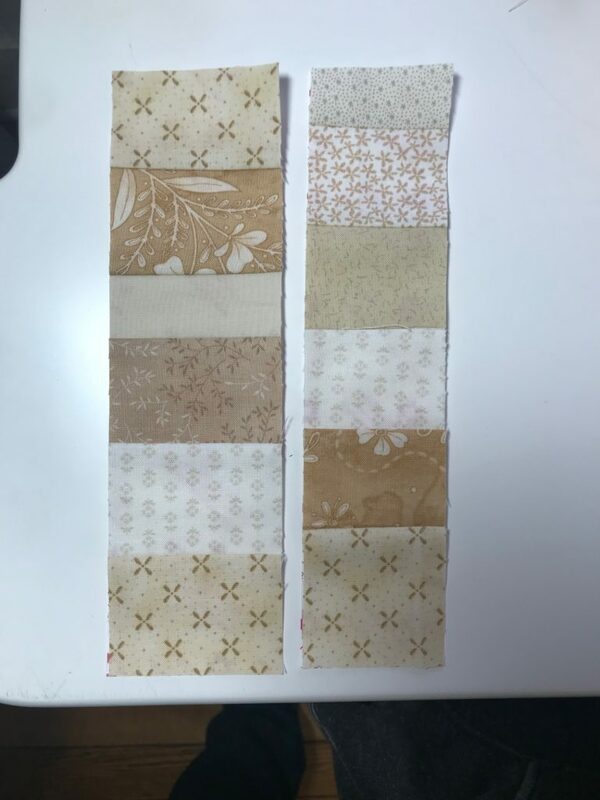 I deviated from her suggested On Ringo Lake colors and opted for Christmas fabrics. I was very happy with how it turned out, No. 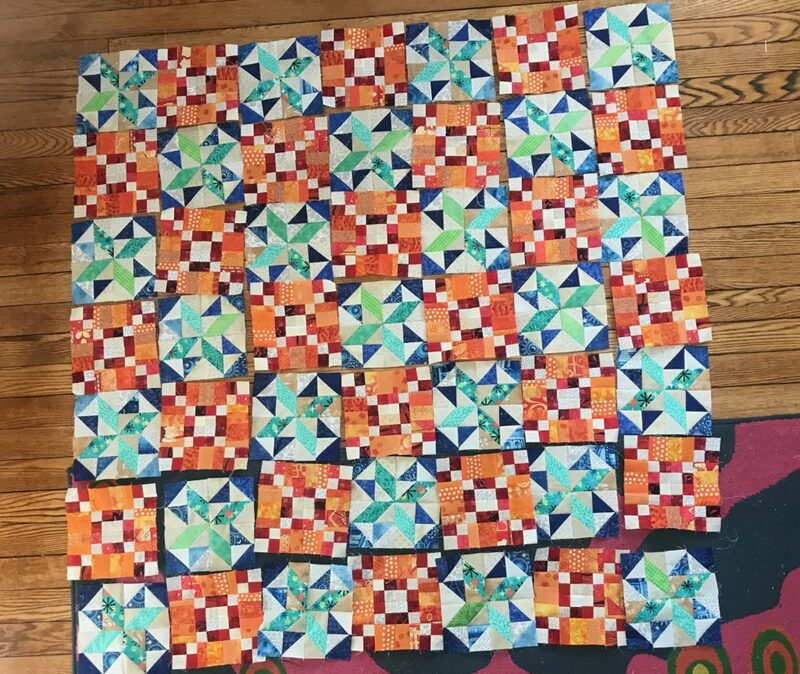 I haven’t quilted it yet 🙁 (I even kept working on it with my friend Chrissy’s featherweight one night – I think I had forgotten the power cord to my sewing machine that night). 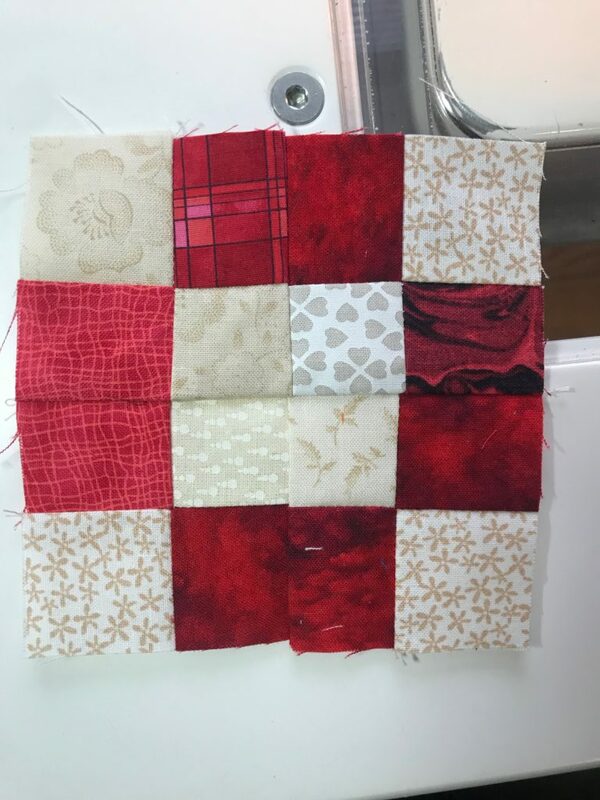 Bonnie’s latest mystery quilt – Good Fortune – started as her mystery quilts do, with the first clue released on the morning of Black Friday. I’m not much of a Black Friday crazed shopper. So, these days, my excitement for Black Friday has to do with seeing the Bonnie’s first mystery quilt clue. 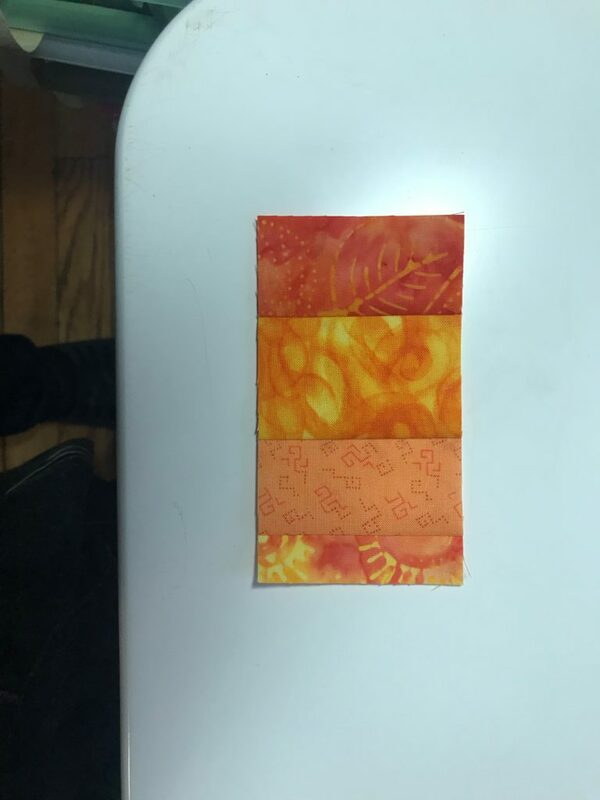 This year, I stuck with Bonnie’s suggested color palette and just pulled fabrics from my stash. Here are the various clues. At Bonnie’s request, I’m not going to post exact sizes or the number of pieces I had to sew. 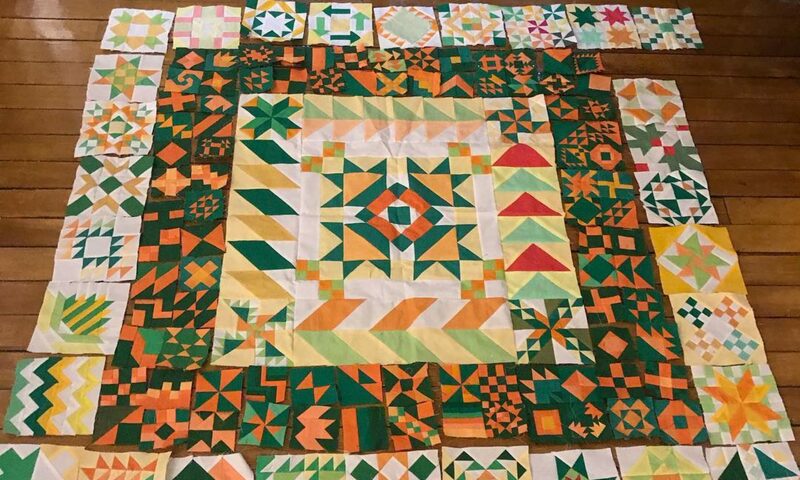 But, again, her scrappy quilts involve a lot of sewing and a lot of piecing regardless of the finished quilt size. 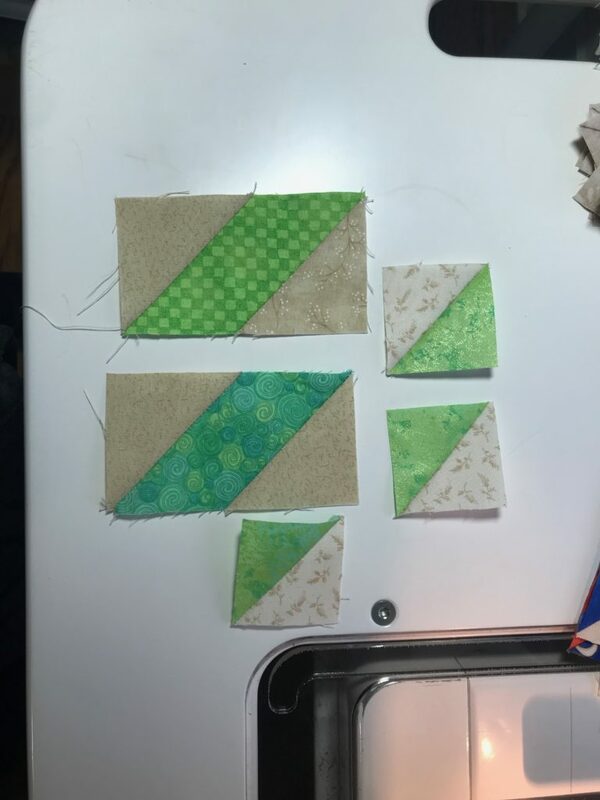 If you’re not familiar with how Bonnie’s mystery quilts works, when you start, you have no idea what the finished quilt will look like. It’s truly a mystery. She releases one clue per week – each Friday morning. 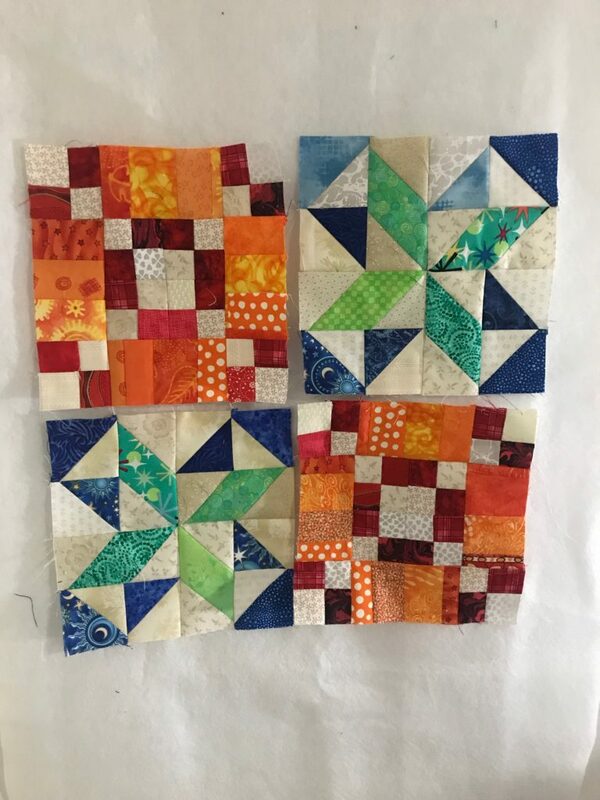 After 4-6 weeks, you begin combining smaller pieces into larger blocks, and then she releases the final reveal and shows you the all the finished blocks and the layout of the final quilt. I have finished all of the main blocks of this quilt, and I’m slowly sewing the top together. 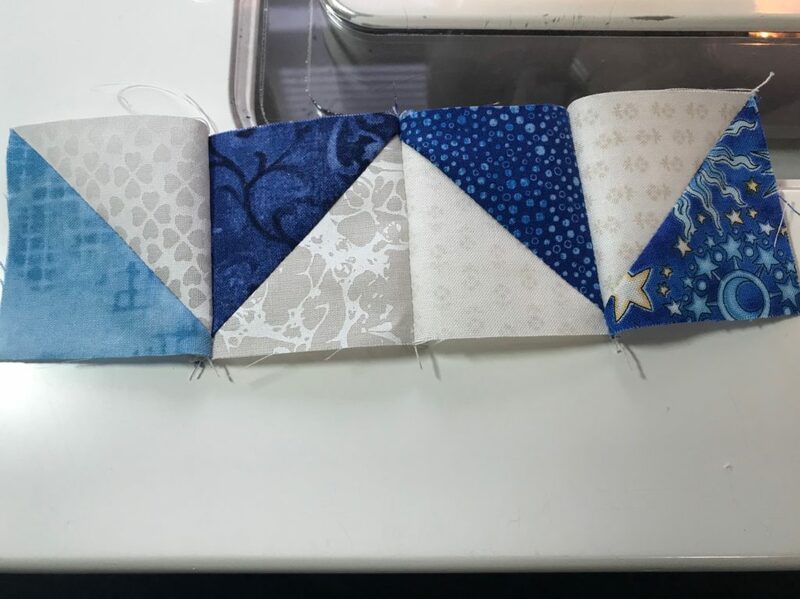 But, I’m doing that amidst a lot of other sewing – two different Harry Potter quilt alongs, and renewed sewing on my 365 quilt. 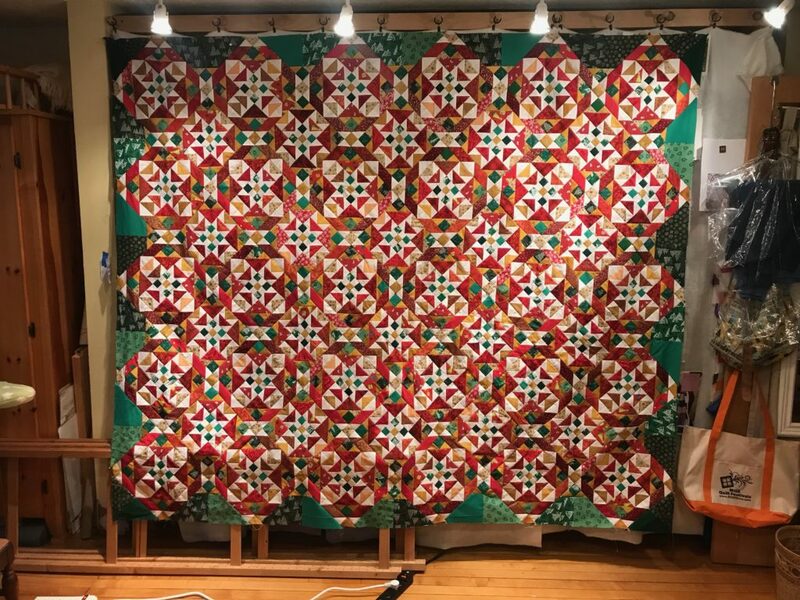 If you like scrappy quilts, if you like mystery quilts, I HIGHLY recommend Bonnie’s annual mystery quilt. Part of the fun is being a member of Bonnie’s Facebook group. Every year, new quilters come in who have never made one of her mystery quilts. 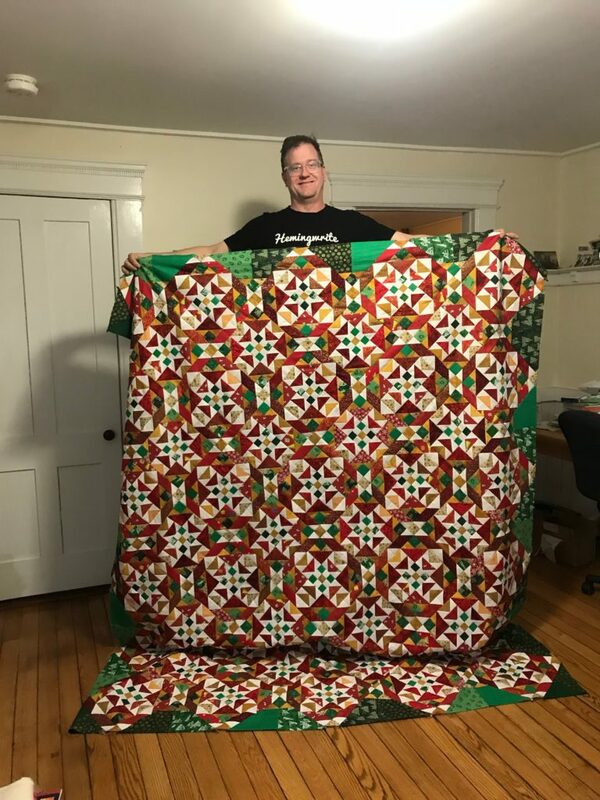 And it’s always funny to see peoples reaction to the amount of sewing and the amount of work involved in sewing a Bonnie Hunter mystery quilt. My fingers are crossed that she continues the tradition again this year with another mystery quilt. If she does, I’ll be there again on Black Friday morning, ready to sew.